"See what your room will look like before you drill the holes with Sweet Home 3D." Building a new home is a great experience. You are all full of excitement. You're ready to grab the sledge hammer, drill, and drywall and get going. But wait! Don't get ahead of yourself there. It is always better to get a visual representation of how everything could possibly look before you start drilling, or you may end up making a mistake that you will later regret. Trust me, you do not want that. With Sweet Home 3D, you can avoid that. 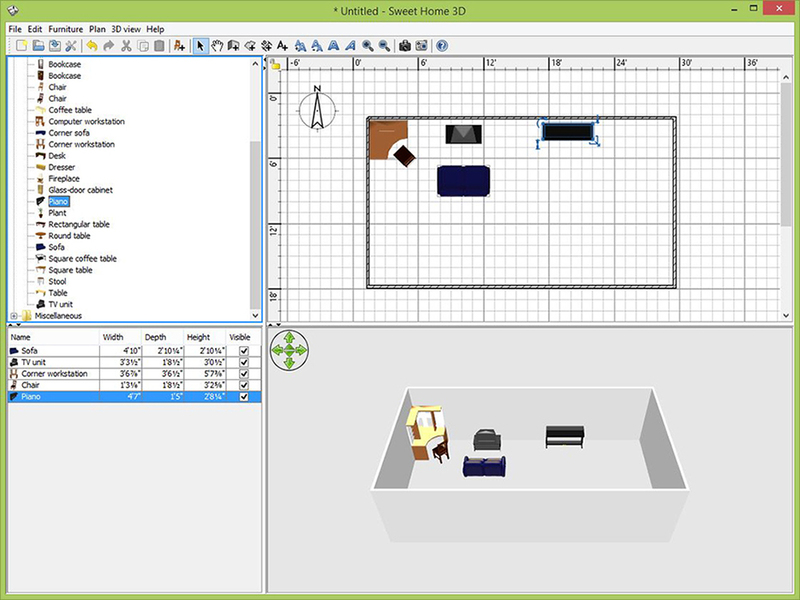 Sweet Home 3D is a great tool for any level of home development. Whether you are building a completely new home, or just a small room edition, every home improvement should involve Sweet Home 3D. It allows you to truly visualize your ideas. We often assume that what we see in our heads will work flawlessly, and that itself is one of our own flaws. It will not work, it cannot work unless you really put it in front of you and look at it. At that time you may get even more ideas about what you can do as well or instead. 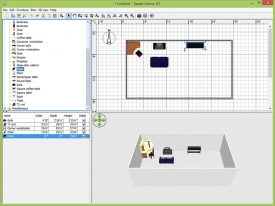 Sweet Home 3D is one of the easiest tools to use applications on the market. You can easily place and adjust furniture where you see fit. You can re-size and color to your liking. And best of all it's free. 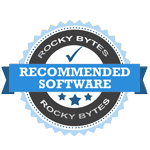 Be sure to download Sweet Home 3D today to avoid future headaches in your home improvement process.